These specially-designed card help preven thieves from stealing your personal information with RFID scanners. 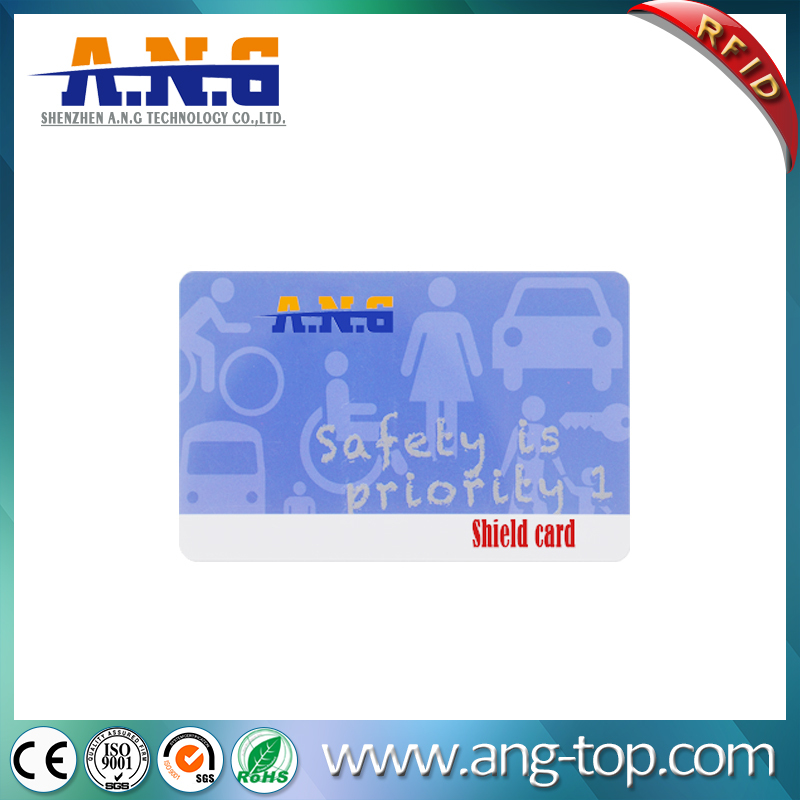 Passport card security. 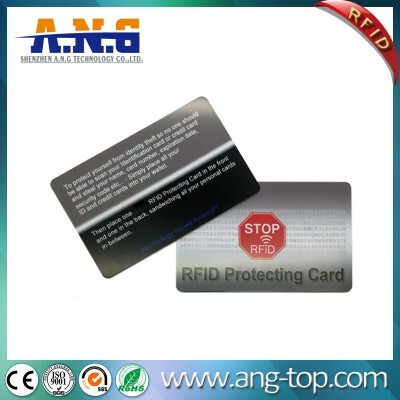 RFID scanning prevention. 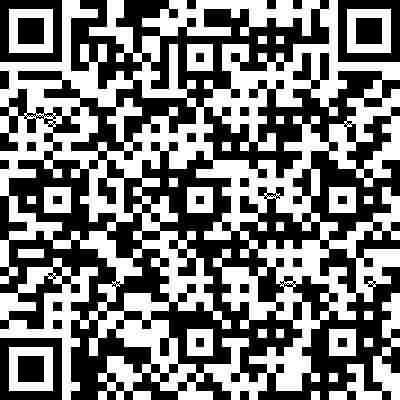 Use with any wallet. 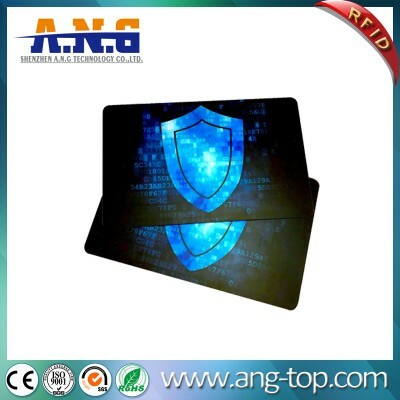 Tear-resistand material. 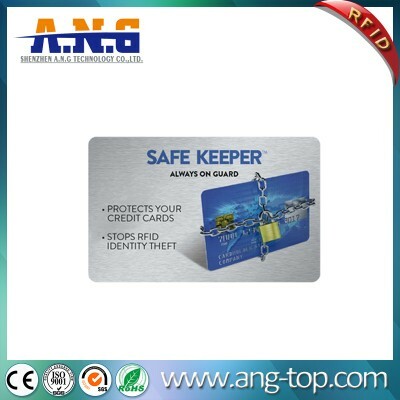 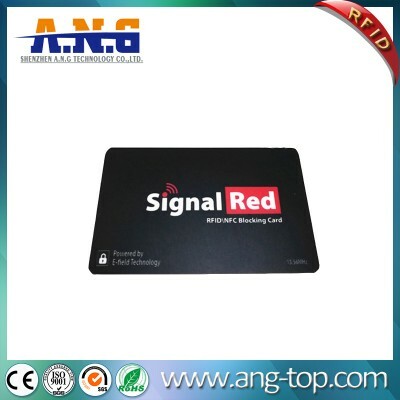 RFID blocking card is also called Card protector, RFID blocking sleeve, payment card secure sleeve holder, card sleeve, EMV payment card blocking sleeve, RFID payment card theft protection sleeve.it is an easy and effective artifact protecting your payment card from high risk . 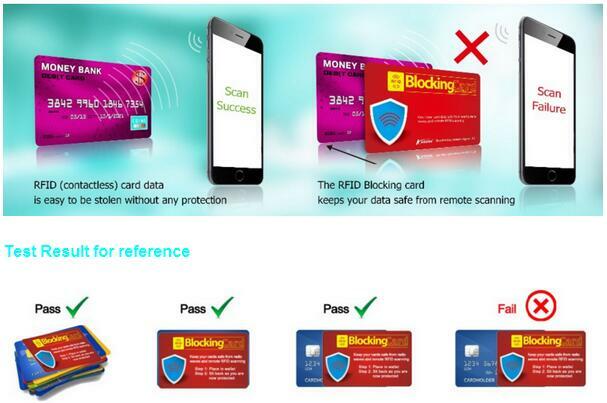 The blocking card is the size of a credit card that is designed to protect personal information stored on high frequency (13.56mhz) smart cards such as credit cards, debit cards, identification cards, passports, membership cards and so on. 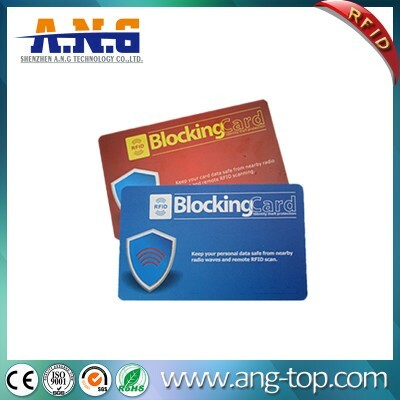 The blocking card needs no battery. 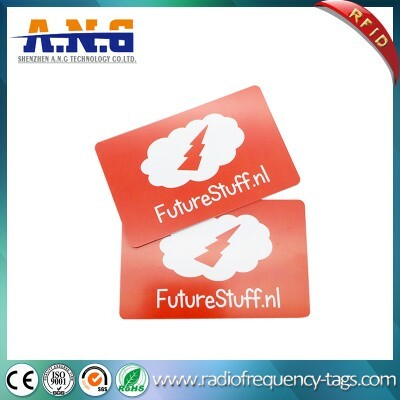 It draws energy from the scanner to power up and instantly creates an E-Field, a surround electronic field making all 13.56mhz cards invisible to the scanner. 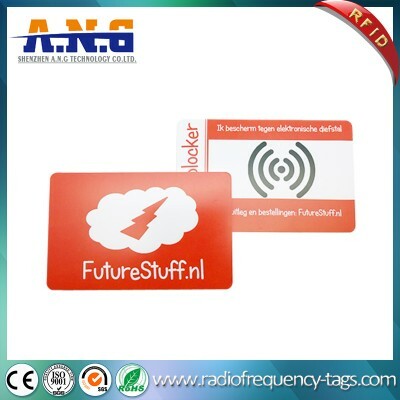 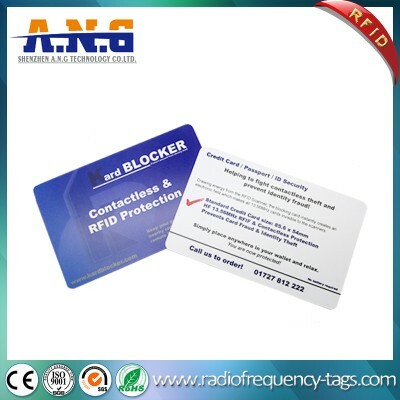 Once the scanner is out of range the blocking card de-powers Simply carry this blocking card in your wallet and money clip and all 13.56mhz cards within range of its E-Field will be protected.